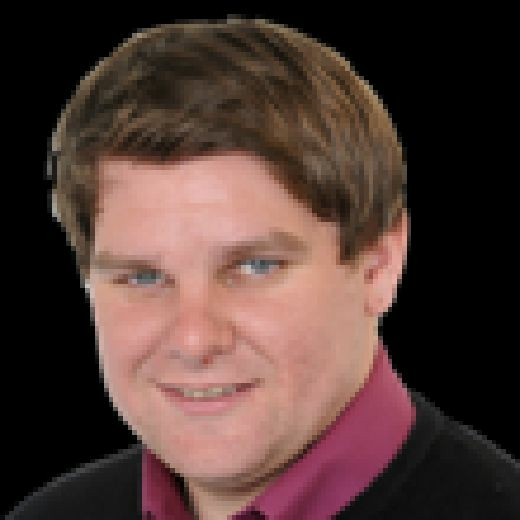 From Vic Wilson’s first glory in 1960, through Brian Close and David Byas and on to the double for Andrew Gale, the last nine of Yorkshire’s 33 County Championship titles have been overseen by lefties. Ronnie Burnet was the last right-hander to raise the famous trophy for the White Rose at the end of the 1959 summer season. Following Gale’s promotion to head coach, the appointment of cricket’s most prestigious position will be one of the closest watched across the county game this winter. One-day captain Alex Lees has been the understudy to Gale but dropped England player Gary Ballance and 2016 player of the year Tim Bresnan have been earmarked as possible suitors. With 128 Championship matches under his belt, Adam Lyth will surely be another to be considered by Gale and director of cricket, Martyn Moxon, come the start of 2017. And, while the opportunity is not one that has played heavily on his mind in recent times, the opening batsman admits he would leap at the chance if the invitation came his way. “I have never really thought about it but I would never turn down the chance to captain Yorkshire,” Lyth told The Yorkshire Post. “If that came about then I don’t think anyone in that changing room would ever not take that opportunity. “Andrew has done a fantastic job and Alex has done well as well this year. But I wouldn’t pass that opportunity up. The summer of 2016 was another fruitful year for Lyth at the crease. He totalled 1,133 runs in Yorkshire’s title challenge – scoring four centuries and a further three 50s. But it was against the white ball where his game went up a notch with two crucial centuries in the Royal London Cup. “Six hundreds in a year is a pretty good effort,” Lyth said, reflecting on his season. “It has been one of my best seasons across all three formats. 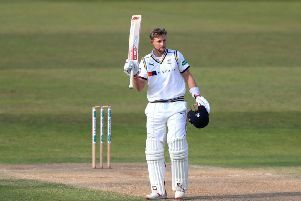 “I’m really pleased to have scored over 1,000 runs in the County Championship with four hundreds and a lot of runs in the white-ball format with two hundreds in that. “Obviously, it would have been nice to win the championship but hats off to Middlesex, they played the best cricket all year. Lyth’s more prominent role in the shorter formats has gone hand in hand with Yorkshire’s recent white-ball improvement. In total, the Whitby batsman scored 751 runs in one-day competitions. An average of 48.78 in 10 Royal London matches helped guide Yorkshire into the semi-finals for a second successive season, while 12 T20 Blast appearances heralded another 312 runs – including a vital 87 that took Yorkshire to a record 223-6 in a win against Durham. Lyth credits his improved form to a change of emphasis against the new white ball in the shorter formats, alongside opening partners Alex Lees and David Willey. The 29-year-old, who played seven Test matches in 2015, said: “I had a little bit of a change in mindset, but mainly I have felt in really good form. That helps. “We have been quite aggressive at the start and managed to get off to a couple of fliers. You know that when you’re scoring at a healthy rate in the opening overs, others can start knocking it around later on. “In the past couple of years, we haven’t got off to that start and we have had to try and accelerate it in the middle overs. Fellow opener Willey’s arrival had been lauded by many as a sign of change to Yorkshire’s previously miserable one-day record. Despite injury and international representation restricting his T20 campaign, Willey still played an instrumental part alongside Lyth in leading Yorkshire to Finals Day. And while the two openers have contrasting styles in the middle, Lyth highlighted the effect his new opening partner had on adding an aggressive nature to his game. “Me and Dave have struck off a great partnership together and we have a good relationship out in the middle and off the field as well,” Lyth added.